Voters must now step up to address Japan’s political gender gap. In July 1980, Japan signed the UN Convention on Elimination of All Forms of Discrimination Against Women (CEDAW). It was not until two months ago, however, that Japan passed its first gender equality bill for electoral politics. While this step forward feels long overdue for the world’s third largest economy, it was a symbolic leap for Japan, which ranks 158th out of 193 countries for the share of women in parliament. The new law outlines the responsibility of national and local governments to “attempt” to make the number of male and female candidates as equal as possible. That means that political parties aren’t legally penalized even if they fail to procure a 50-50 gender candidate base. Article 1 of Clause 2 states that the freedom for political parties to choose their candidates and the freedom of candidates to run for office are not to be violated. The law promotes the implementation of political party quotas, one of the three types of gender quotas implemented by governments today. Unlike the reserved seats arrangement or the legal candidate quota, which are mandated through constitutional amendments or legislation, political party quotas are voluntary. The law passed in May stipulates that each political party must “make its best efforts” toward gender equality in the number of candidates, with no mention of how ambitious they should be. In short, there is no numerical benchmark or legal penalization for parties that fall short of their voluntary promises. While the nonbinding nature of the law promises legitimacy for elected politicians, its potential for procuring women lawmakers is bleak. Despite the idealistic nature of the law, politicians, scholars, and feminist groups have applauded this legislative symbolic achievement. Internal Affairs Minister Seiko Noda, recognized as a potent candidate for Japan’s first female prime minister, told the press that this legislation would dramatically change Japan’s politics. The Association for Promoting Quotas, a Tokyo-based feminist organization led by former Education Minister Ryoko Akamatsu, said in an email interview that the law set a precedent for reforming the Public Offices Election Act, which could ensure legally enforceable quotas. Onoda has a point. Being a relatively homogeneous and historically conservative society, Japan isn’t entirely equipped with the feminist energy to do this political affirmative action justice. 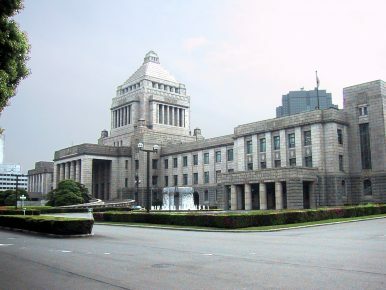 Just a month before this bill passed, Deputy Finance Minister Junichi Fukuda resigned from his post after his sexual harassment of a female reporter was exposed. Fukuda’s boss and former Prime Minister Taro Aso defended Fukuda, going so far as to say that sexual harassment is not a crime. Female politicians have faced and continue to face such provocations from their male counterparts. In 2014 “sekuhara yaji’ (misogynistic jeers) was nominated for Buzzword of the Year after much media coverage was given to Tokyo Metropolitan assemblywoman Ayaka Shiomura, who experienced shouts of sexist comments from her fellow lawmakers while speaking on the topic of working mothers and women’s reproductive health. This legislative victory could be a catalyst for change or a lost opportunity. The law is a step in the right direction, but not far enough to keep parliaments accountable. But the electorate can. If the Japanese people want to change how women are treated in politics and beyond, they need to pressure parliaments and parties to abide by this legislation. With roughly a year left before the next national elections for the House of Councilors, parties have enough time to develop their members and compose their candidate list. Although the legislation isn’t perfect, it provides a way for constituents to keep local municipalities and national parties in check. It’s time for Japanese voters turn the wind around and demand change for women. Kirara Tsutsui is an international student from Japan at Pomona College majoring in Economics and Environmental Analysis. She currently works as a Research Intern at the Pacific Forum in Honolulu, Hawaii.